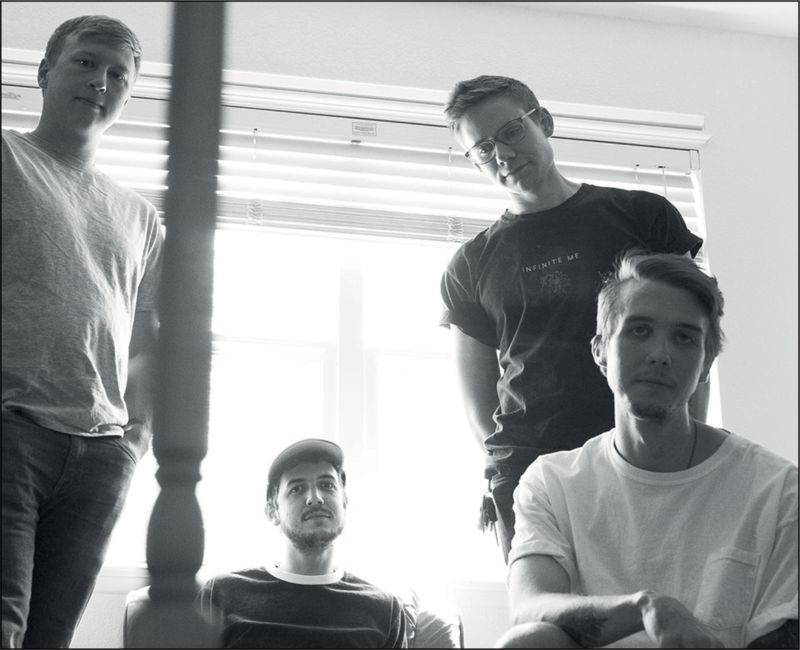 With the dreamy, shoegaze Fort Collins band’s newest record on the way, songwriter, frontman, and engineer Corey Coffman reflects on conviction in inspiration, friendships, and the writing and engineering process behind new album Anymore. Since the inception of Gleemer, Coffman has meticulously curated a sonically and aesthetically coherent emotional identity that is uniquely his – leading to ever growing success within the alternative community. The follow up to the band’s 2015 LP Moving Away is due this November. This latest release – titled Anymore – is shaping up to be the most Gleemer- sounding record the band has produced yet. Coffman’s creative power resides in his ability to actualize internal meaning through music. He has a patience and conviction in his writing process that leads to an incredible vulnerability that doesn’t so much shine in the music of Gleemer, but more sulks familiarly and earnestly. This willingness to just go for it in the face of fear has become one of the mainstays of Gleemer, and Coffman tries to relay that to as many people as possible. The guy’s a pro, and it’s very easy to tell. Before pursuing internships at various recording studios in New York, he attended the Conservatory of Recording Arts and Sciences in Arizona – an intensive 8-month program. “I freaking love engineering,” Coffman said. His experience shows. Each Gleemer record sounds better than the last, and Coffman humbly admitted that Anymore is his “first attempt at real engineering,” which will strike fear and anticipation into the hearts of anyone who’s heard the near-perfect sounding guitar and drum tones from Moving Away. Despite Gleemer being Coffman’s personal project, the history of the band is intrinsically tied to the history of his relationships. Jack Garland, the photographer who does Gleemer’s covers has been friends with Coffman since “before they could drive.” Nick and Joey are the newest members and, naturally, also old friends of Coffman’s. Charlie O’Neil, a longtime bandmate and classically trained multi-instrumentalist has been on every instrument at least once in the band’s history, and was crucial in the creation of Anymore according to Coffman. The friendships formed around Gleemer are just as important to Coffman as the band itself, as you can hear him speaking with the same level of reverence and enthusiasm for both. Anymore is out November 17th from Other People Records. Catch them at the Marquis Theatre December 10th with Hundredth, Spotlights, and Tennis System.